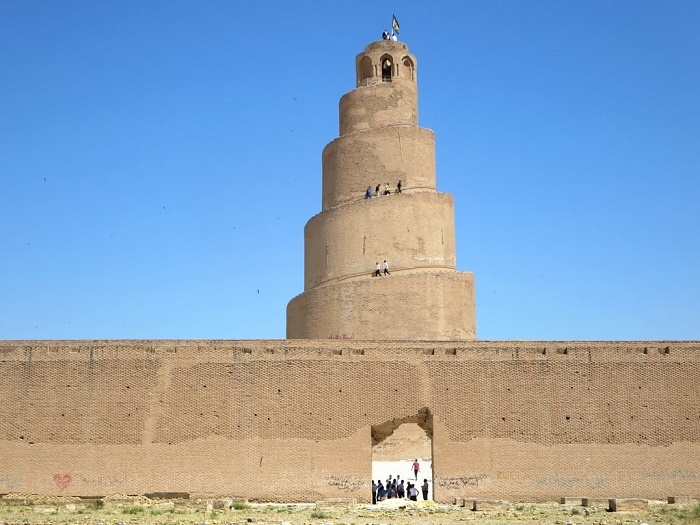 The Great Mosque of Samarra is a remnant of what once was the largest mosque in the world, located in the city of Samarra, in the central part of the Republic of Iraq. 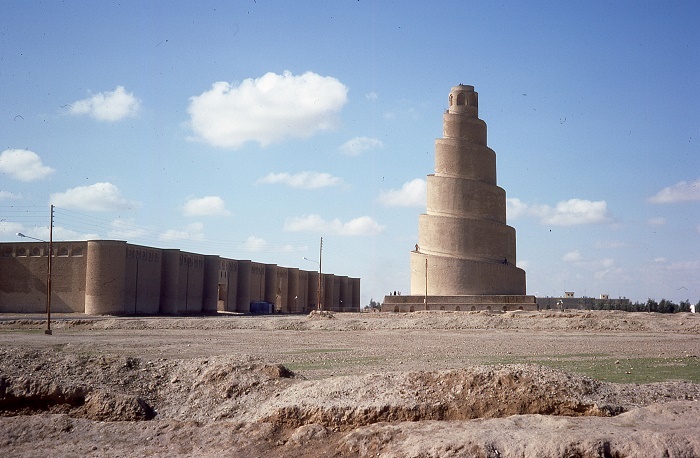 At some 120 km (75 mi) from the capital Baghdad, the mosque sits on the banks of the Tigris River, and it was built between 848 and 851 by the Abbasid caliph Al-Mutawakkil who reigned in the area. 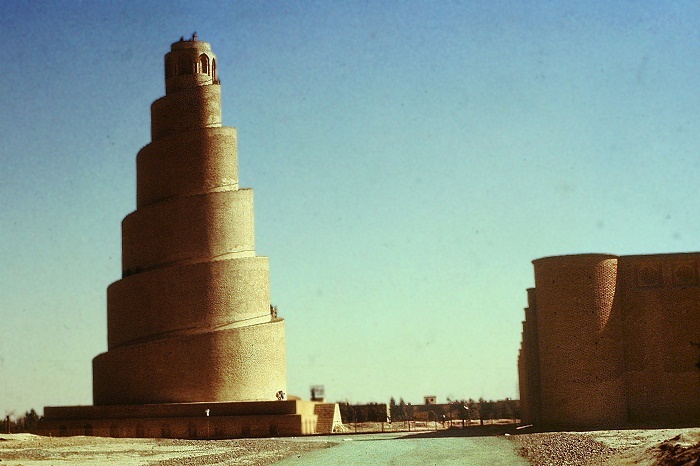 The most striking part of the mosque is the minaret, which is a spiraling cone named Malwiya Tower that stands on a quadrangular basis, rising up to 52 meters (7 feet) above the ground. 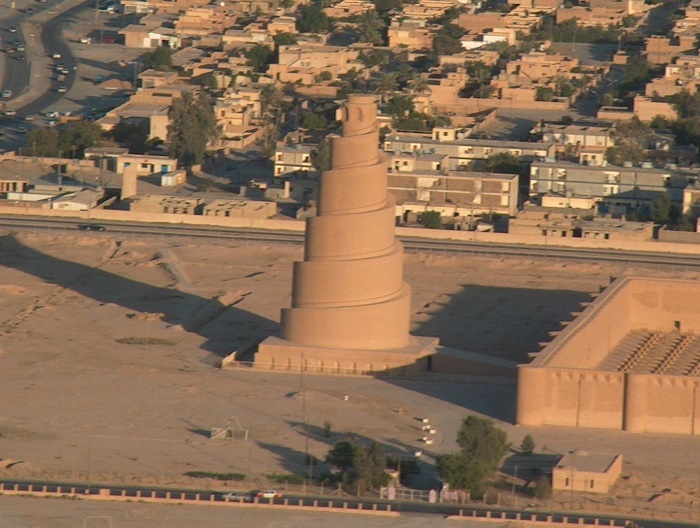 At its base, the minaret is 33 meters (108 feet) wide, and it has a spiral ramp that leads towards the top of it. 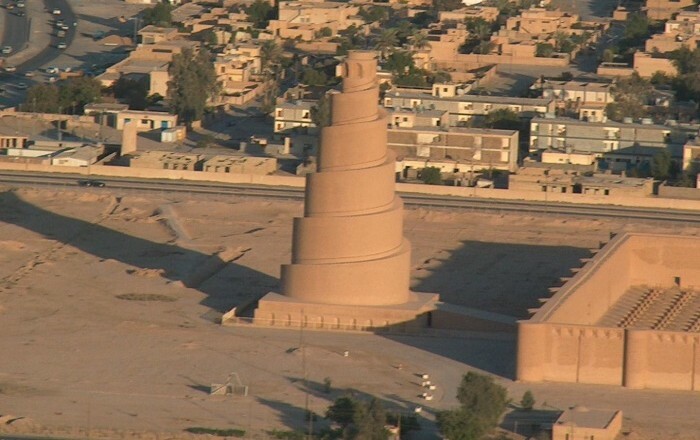 The 2 meters (1 feet) wide stairs of the snail shell minaret, lead people anti-clock-wise to the top of it, which has a small cylindrical room which is 6 meters (20 feet) in radius. The caliph at the time of his reign had a great influence on the architecture in the city, as he has been a lover of architecture, and the sole responsible person for the construction of this interesting masterpiece. The rest of the mosque was spread on an area that was around 17 hectares (42 acres), however, the building had some 38,000 square meters (409,029 square feet). 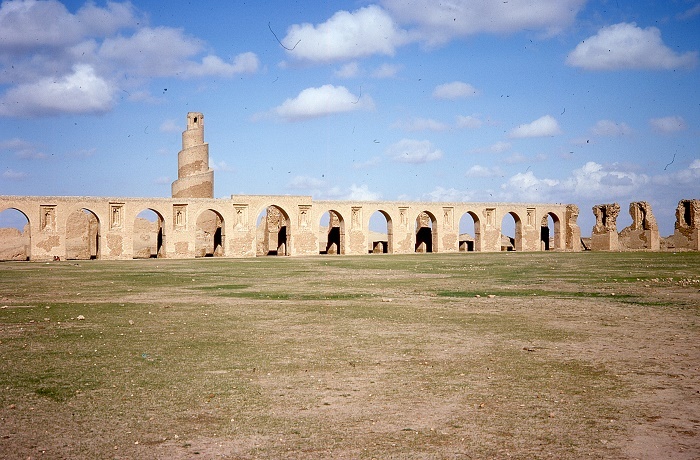 Originally the mosque was connected to the minaret by a bridge, and the outer walls of the mosque were something what one should expect from the Islamic worship grounds, built with arches and glass mosaics. Nowadays, only the outer walls with the minaret are the single proof standing as an evidence that once there stood the greatest and largest mosque ever built. 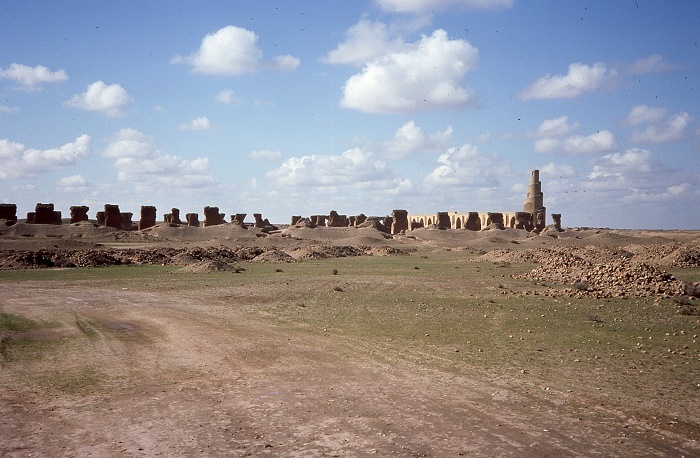 Unfortunately, it stayed in perfect state for 400 years, when the armies of the Mongol ruler Hulagu Khan destroyed the premises during his invasion of Iraq, sometime in 1278. 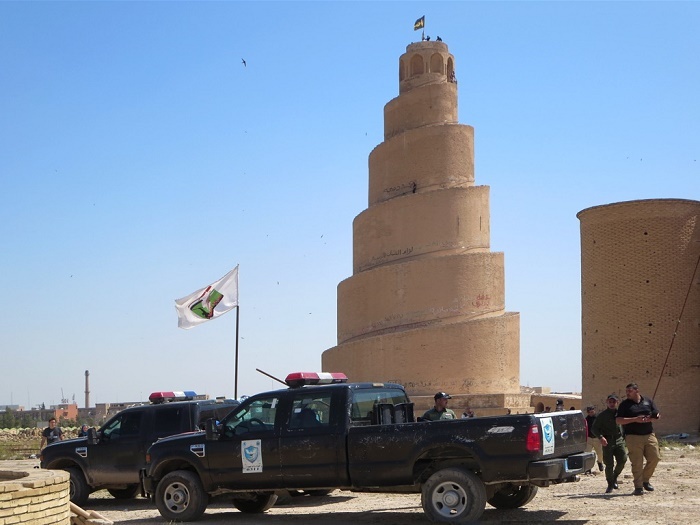 Still, there was additional destruction that occurred during the American invasion of Iraq, when the US troops used the top of the minaret for observation, which lead to destruction of insurgents. There are even other stories that tell another reason why it was bombed. As a matter in fact, the insurgents willingly wanted to incite a conflict that would bring higher Sunni-Shia violence, so that the country will be furthermore destabilized. 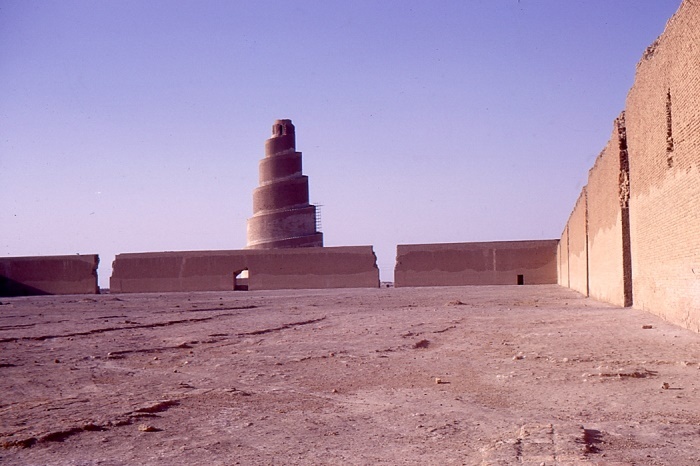 Nevertheless, as the conflict in the country is never ending, there are no official reports to state the condition of the minaret, but having in mind the unstable political situation, most likely the Samarra’s impressive minaret will be in a great need of restoration, so that the future generations would be able to see that in the area once, there was a great empire.